In the next couple of weeks we would like to introduce you to the Gynzy team. This week we introduce you to Koen. Hi there! 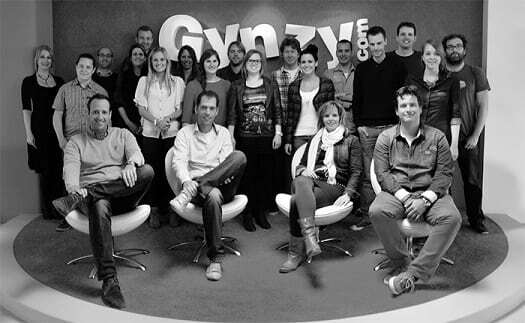 My name is Koen and I’m the product dean at Gynzy. I lead the teams that create our product(s), from start to finish. Every day we get a lot of good ideas and feedback from our teachers. We look at all the feedback and ideas, and try to improve Gynzy based on this feedback. I have to make sure that we focus on the most important projects first, but also on the smaller more detail-oriented tasks; and that we finish everything on time. I don’t really have a “regular” workday. Every day is different. One day I could have have a few brainstorming sessions about new products and ideas, while I could spend the better part of the next day talking to teachers to better understand their feedback about our product. But most of my time I’m working on the product itself & planning for the coming days, weeks and months together with the team. Fun fact is that both of my parents were teachers at the elementary & middle school levels. So I know what challenges teachers are facing every day. I really like the fact that now I can help teachers make their work life easier and more fun!